Art lovers have a new cultural hotspot to peruse with the opening of H Queen’s, a new building housing an array of art galleries along the main artery of Central. At the top of the building are two restaurants sharing very similar concepts. Stacked on top of one another, fine dining restaurants Arbor and ÉCRITURE both use French culinary techniques to accentuate the beauty of Japanese ingredients. We recently visited both restaurants to get a first taste and decided that, rather than write individual reviews, we’d do a side-by-side comparison since we were puzzled by how alike the two concepts are. Here’s to making your life easier when trying to choose between the two! Spanning the penthouse floor of H Queen’s, ÉCRITURE by Le Comptoir Group is as much a tribute to art as it is to cuisine. 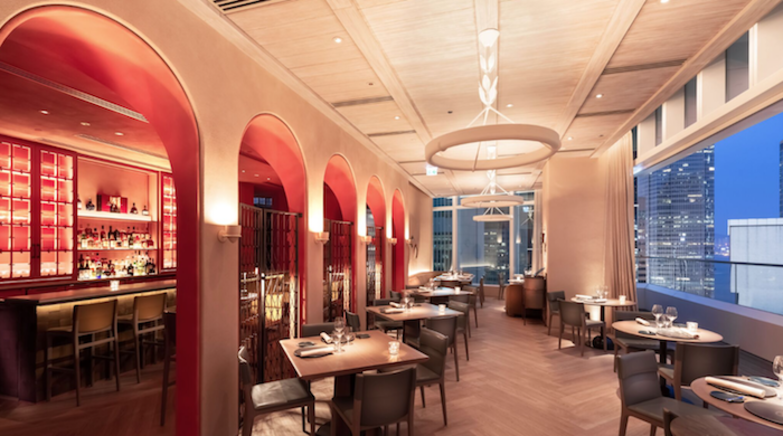 Named after a series of paintings by Korean artist Park Seo-Bo, the restaurant boasts panoramic views of Central and meticulous detailing, from custom-made knives and hand-blown glasses from France, to handcrafted pottery from Japan, to a 4.5-metre library wall filled with antique copies of the Michelin Guide. Located one flight down from ÉCRITURE on the 25th floor, Arbor is awash in soothing pastel tones. 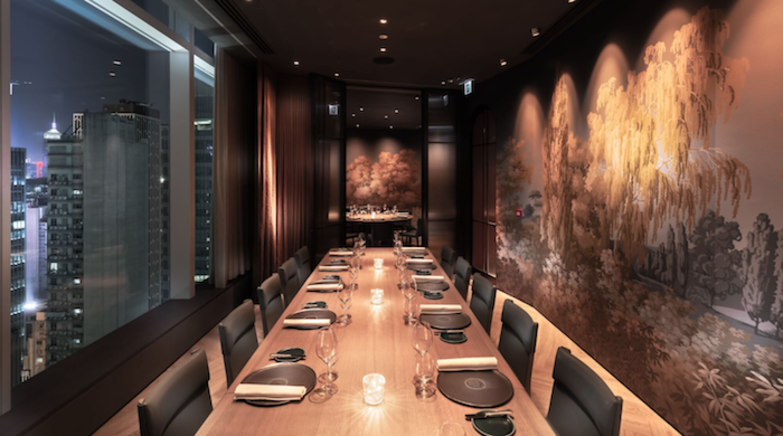 The restaurant, owned by the same restaurant group as Michelin-starred ÉPURE, is split between a bar, a formal dining area and private rooms. The rust hues and concave door frames of the bar are reminiscent of Middle Eastern aesthetics, although the cuisine is French. Chef Maxime Gilbert is the man behind the cuisine at ÉCRITURE, having honed his skills most recently as the chef de cuisine at Amber and coming from a background of Michelin-pedigreed restaurants including Yannick Alléno’s La Grande Table Française in Marrakech and the legendary Le Meurice in Paris. 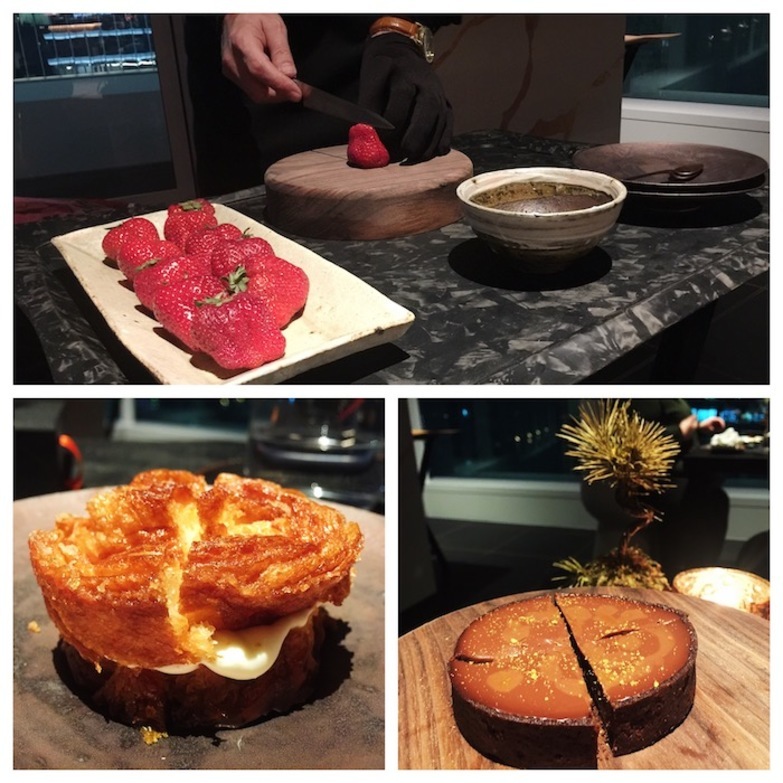 Our dinner began with a bit of fancy footwork that included a bevy of amuse-bouches and warm bread, with the perfect crust cut tableside. A selection of handmade knives were also given to us to use throughout the meal. 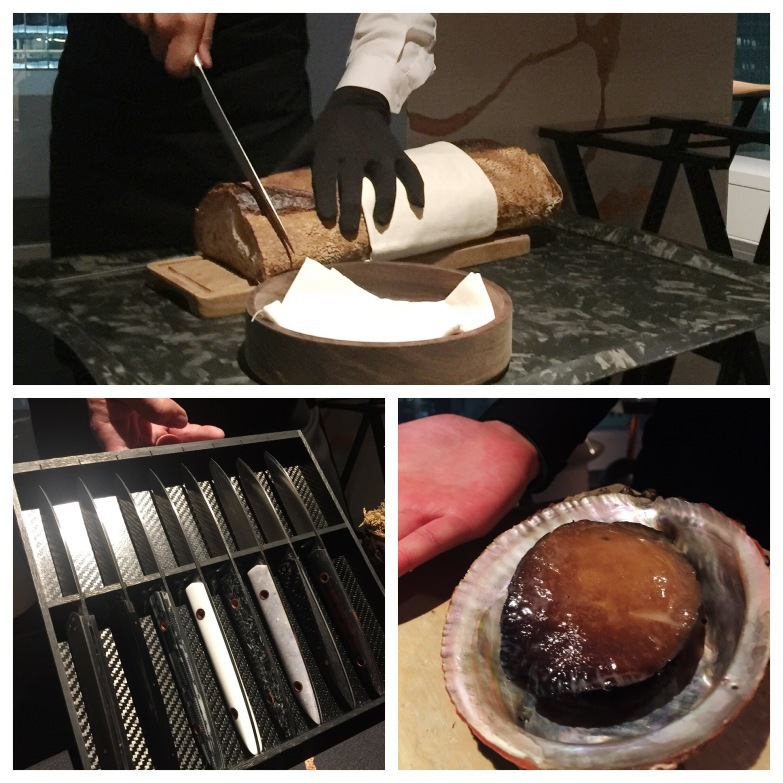 Bottom right: abalone poached in sake was presented before being plated with aubergine, grapefruit and a delicious abalone-liver sauce with Dijon mustard. 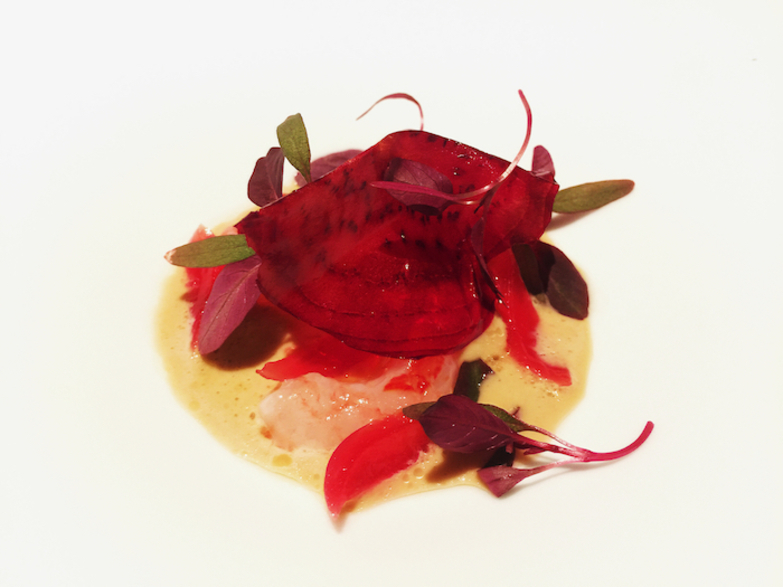 Raw spot prawns with dehydrated beet, pickled vegetables, cherry tomato foam and microgreens. This made for a sweet, refreshing start to our meal. 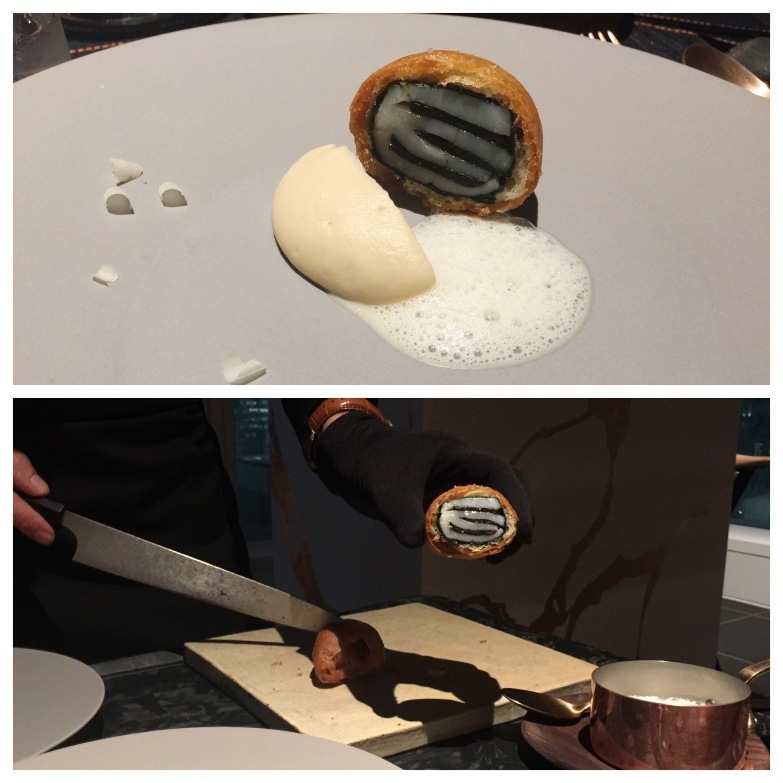 Scallop wrapped in nori, then battered and fried, served alongside celeriac purée, foam made from scallop fins and paper-thin hazelnut shavings. The fried scallop was cut tableside – we could hear an audible crunch as the knife sliced through it. We liked that the scallop, despite being deep-fried, retained a sashimi-like raw texture and that the chef used all parts of the shellfish to make the umami-rich foam. 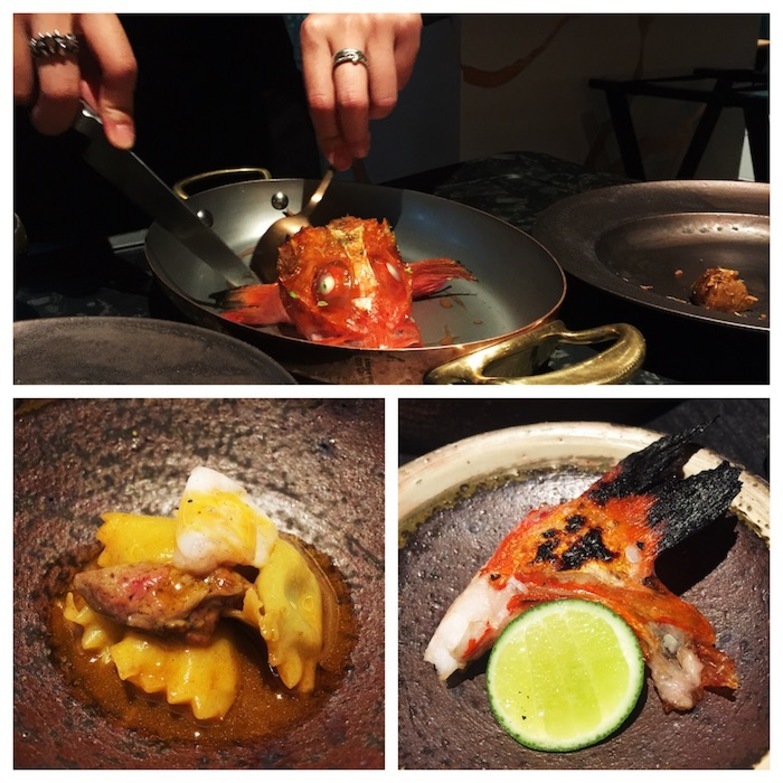 One of the most prized fish in the sea, the kinki was grilled to perfection and served three ways: first as a fillet accompanied by a yuzu-seafood purée topped with dried scallop in a red wine and vegetable sauce and, second, with the buttery fish coloured with a dash of lime. Finally, the more prized part of the fish, the cheek, was served alongside the liver on top of Gorgonzola cheese ravioli in a quatre-quatre sauce made of olive oil, tomato, lemon juice and the bones of the fish. 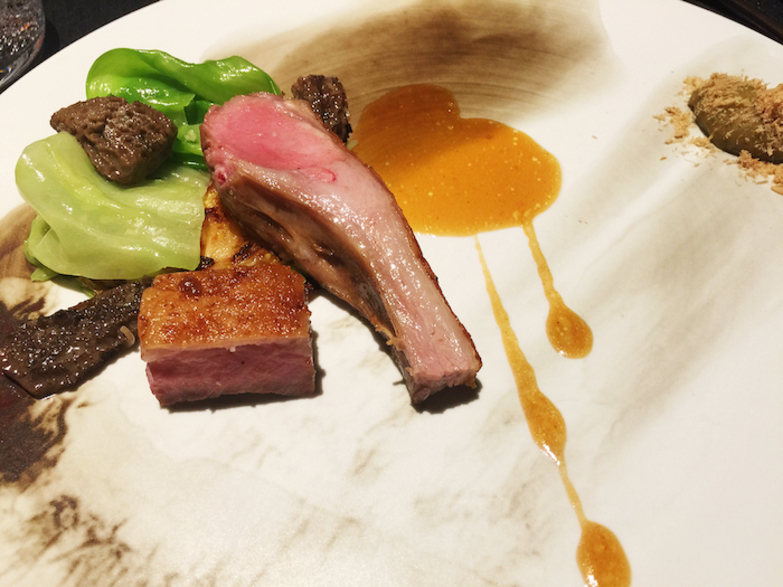 Tender lamb fillet and chop served on hand-painted Japanese pottery, dressed with the most addictive, glossy lamb jus. A miso purée, sprinkled with dried lamb floss, paired well with both the lamb and meaty morels. 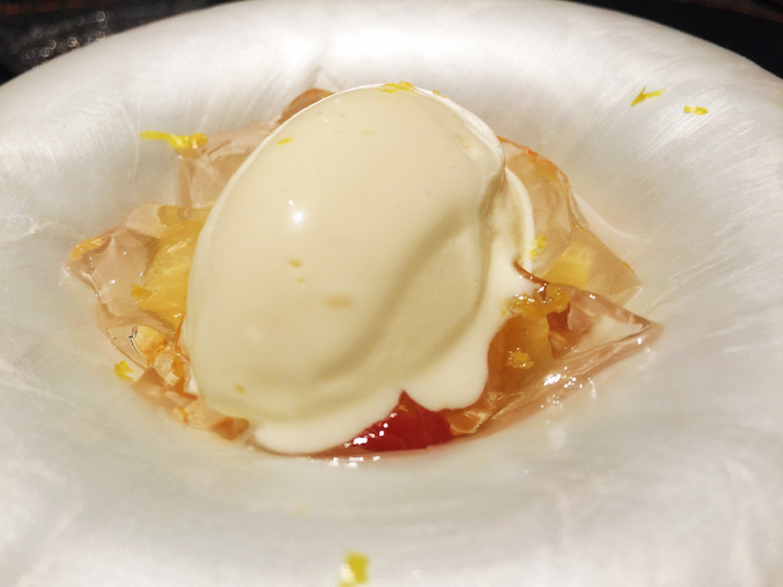 Sake ice cream nestled in a bed of silky jelly made with sake lees and four kinds of citrus fruits. We capped off our meal with a hazelnut chocolate crumble, paired with tangy mango and chilli that reminded us of Thai flavours, complete with peanut ice cream and coconut milk on the side. We ate it so fast that we didn’t get a chance to snap a photo! A series of sweets followed our dessert, ranging from fresh Japanese strawberries (again sliced tableside), to a fried cream-filled pastry, to a chocolate-cognac tart with pollen from the decorative shrubbery on our table. 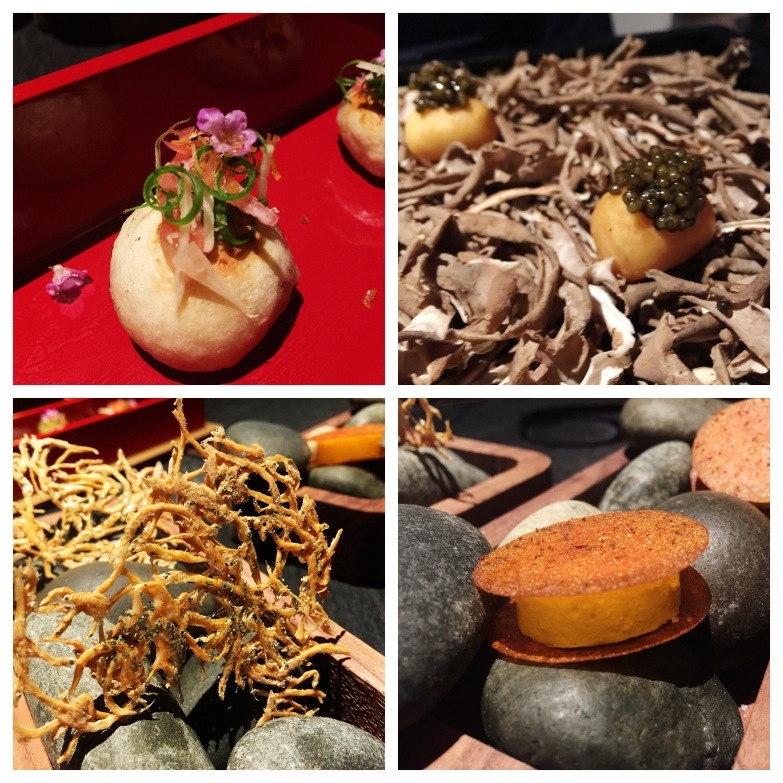 A rising star in the culinary world, Finnish chef Eric Räty presented a beautiful, intricate menu full of surprising yet complementary flavour pairings. 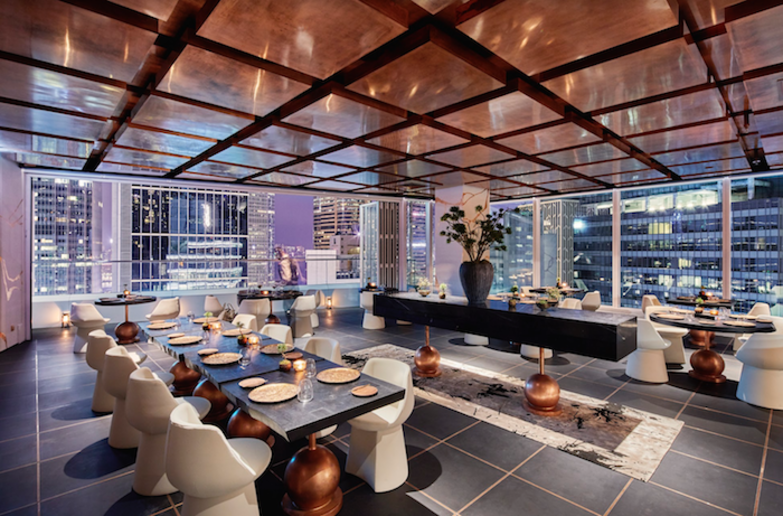 The young chef was previously the chef de cuisine at Café Gray Deluxe at The Upper House, before joining the restaurant group that also owns Michelin-starred ÉPURE in TST. A regional finalist of the S.Pellegrino Young Chef 2018 competition, Chef Räty is not shy about using classic French techniques to create innovative and unusual flavour pairings. Arbor’s menu is a collaboration between Chef Räty and renowned Michelin-starred chef Nicholas Boutin, who oversees both ÉPURE and Arbor. 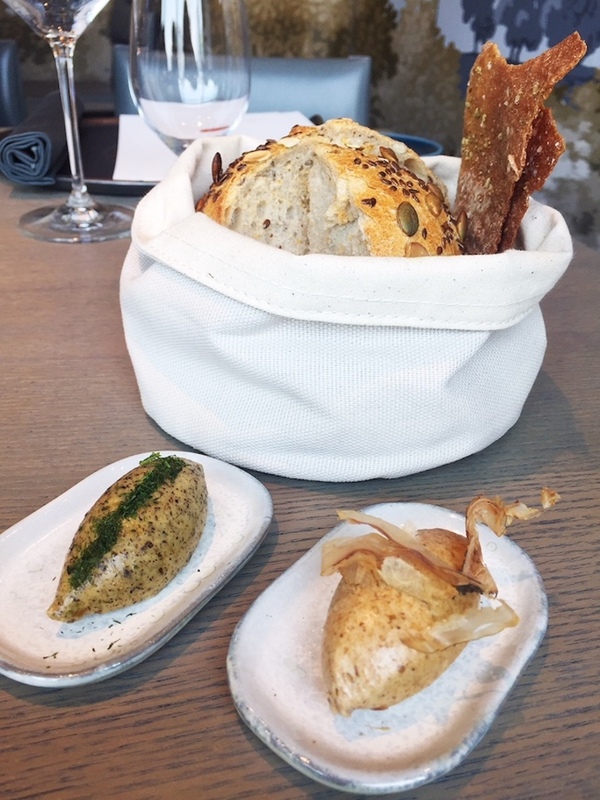 Although not sliced tableside like at ÉCRITURE, the bread basket at Arbor was seriously addictive, especially when paired with two kinds of house-made butter: a miso butter and a smoky bonito butter. Oysters are a classic starter on any French menu, and the Ebisu oyster was a playful take on this tradition using a mix of Japanese and French ingredients. 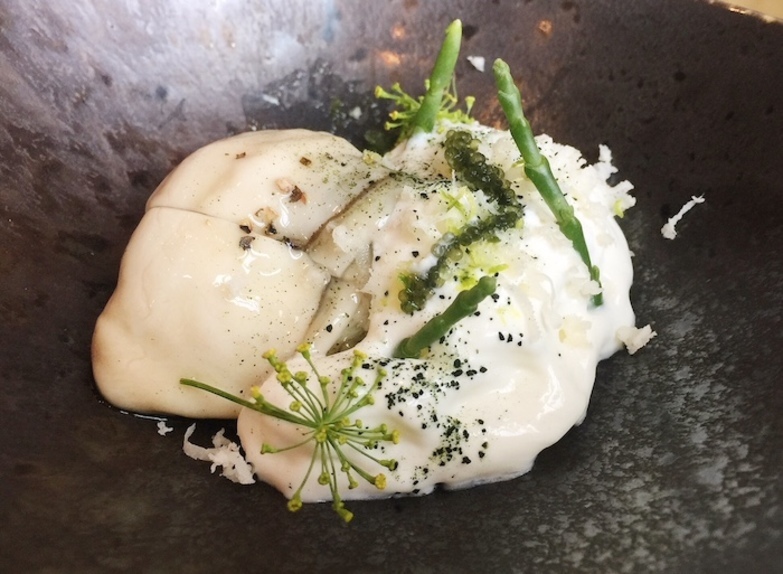 Paired with French buttermilk, a touch of zingy horseradish, pickled cucumbers, briny sea grapes and sea asparagus, this dish highlighted the creaminess of the oyster while staying light and refreshing. 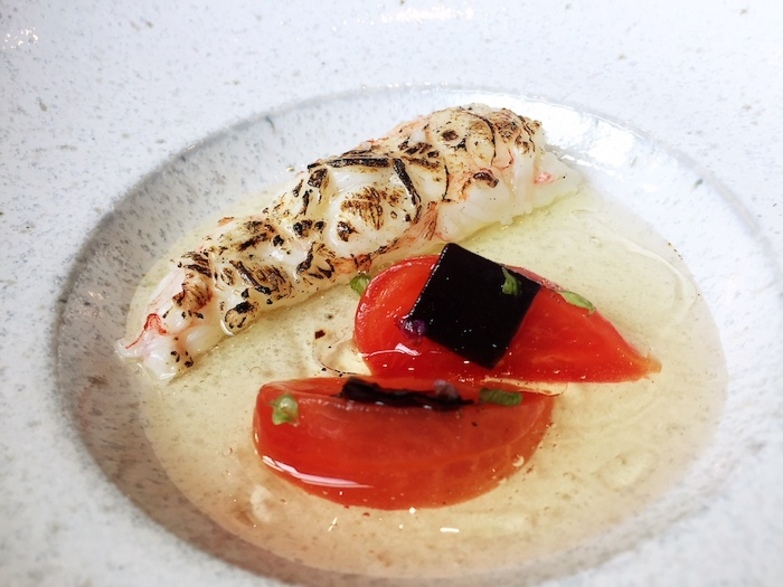 Perhaps the best rendition of the langoustine we’ve tasted thus far, this dish was total perfection, with the charcoal-grilled shellfish still retaining that luscious tender, raw wobble in the centre. Glossy tomato water and sweet Japanese fruit tomatoes completed the dish, which was topped with squares of candied kombu seeped in Okinawa black sugar and Guinness beer. 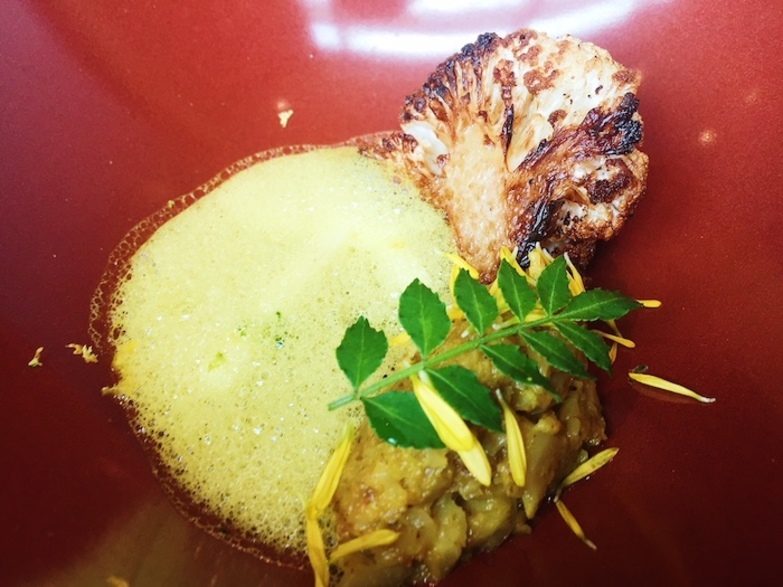 A “meaty” dish without any actual meat, the butter-roasted organic cauliflower paired well with a dollop of chopped cauliflower and turmeric on the bed of white chocolate foam accented with lime juice. Buttery, marbled slices of Kumamoto A4 Wagyu beef tenderloin were sprinkled with charred shishito pepper, although the star was the crushed Japanese sweet potato drizzled with yuzu butter – an absolute genius combination. An odd flavour pairing on paper but magic on the plate, we loved the soy milk ice cream dressed with sheets of yuba made crispy by baking with honey and butter. Sprinkled with shavings of dry, homemade salted duck egg yolk over a bed of roasted white chocolate, we wished we could have had second and third helpings of this dish! 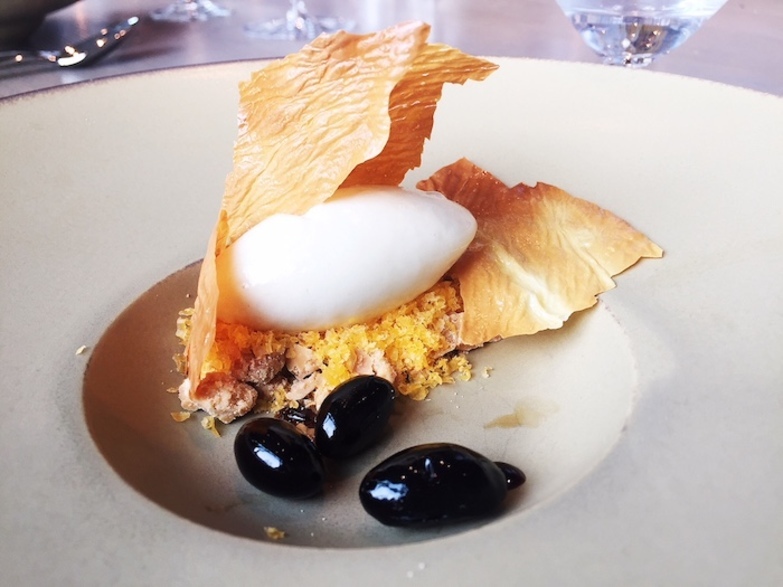 The Japanese soybeans cooked in Kowloon Soy Sauce added a savoury contrast to the dessert. 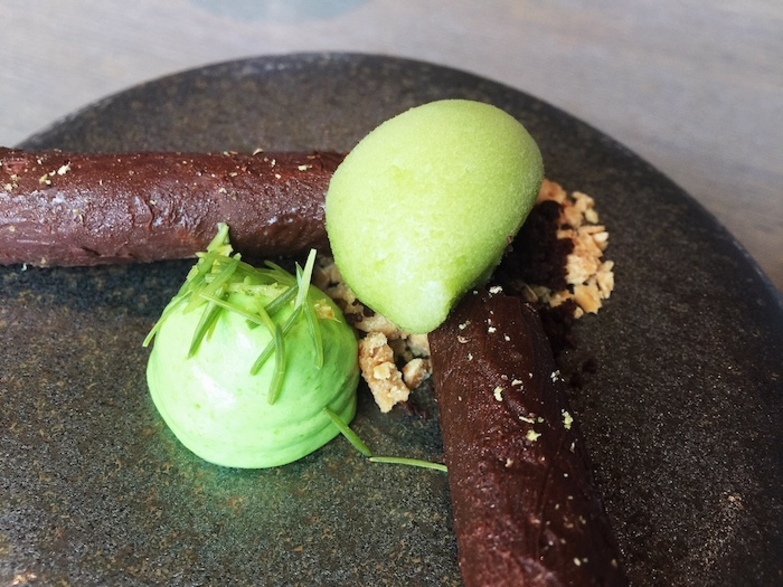 Full of Nordic flavours thanks to the pine-shoot sorbet and creme, in addition to fresh pine shoots, this delicate chocolate dessert had a crispy outer layer wrapped around a creamy centre. 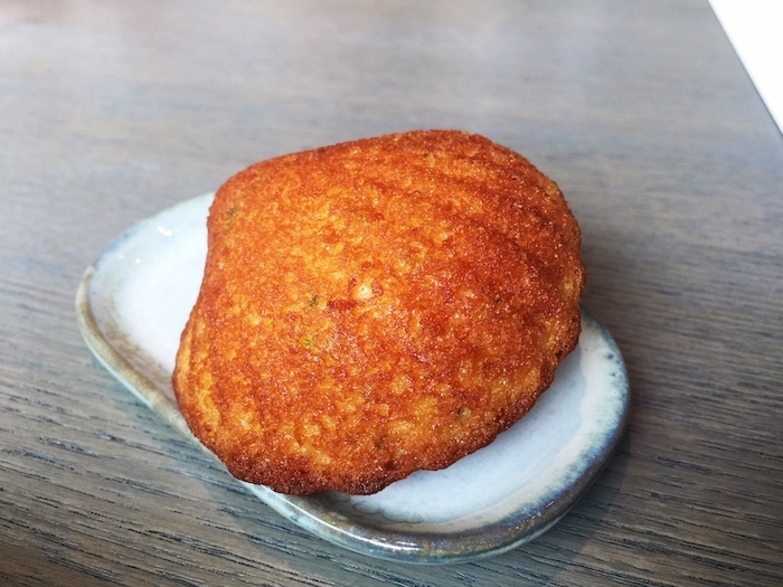 The quintessential French dessert, warm, fragrant madeleines fresh from the oven were made even more aromatic by the addition of sake lee and lemon and lime zest. 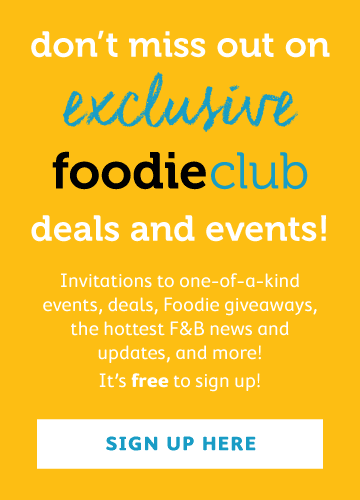 These restaurants share many similarities, from the focus on French fine dining using Japanese premium ingredients, to offering only tasting menus, to the layout of the menus, with just one single word used to describe the key ingredient of each dish. From this perspective, both concepts feel almost interchangeable. However, from an experience point of view, ÉCRITURE offers an art-inspired space with plenty of fancy tableside preparations, while Arbor boasts an incredibly exclusive wine cellar (accessed only by fingerprint!) and a soothing environment to enjoy some truly captivating flavour pairings. Both restaurants have chefs with impeccable training, so it really depends on the type of experience you’re after. 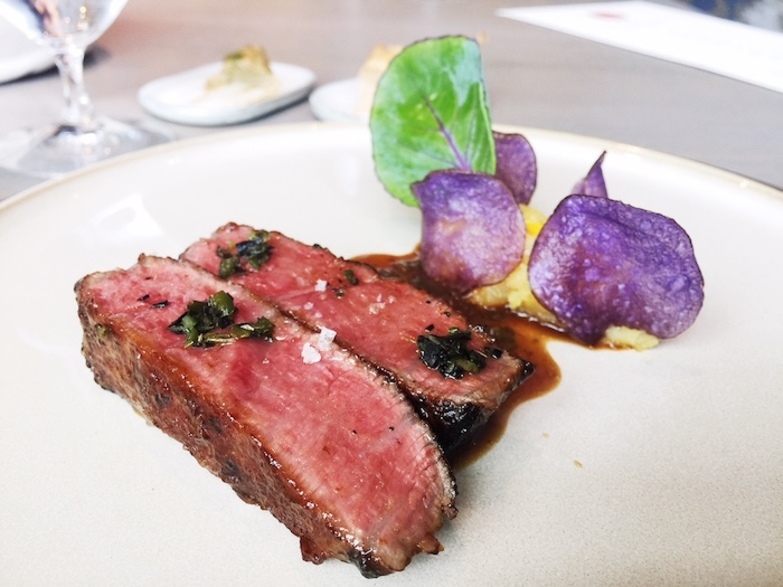 From our personal standpoint, the surprising flavours of Arbor’s menu are definitely unforgettable, while diners looking for more theatrics would be thoroughly impressed with ÉCRITURE. This write-up is based on complimentary media tastings provided in exchange for an honest review and no monetary compensation. The opinions expressed here represent the author’s.